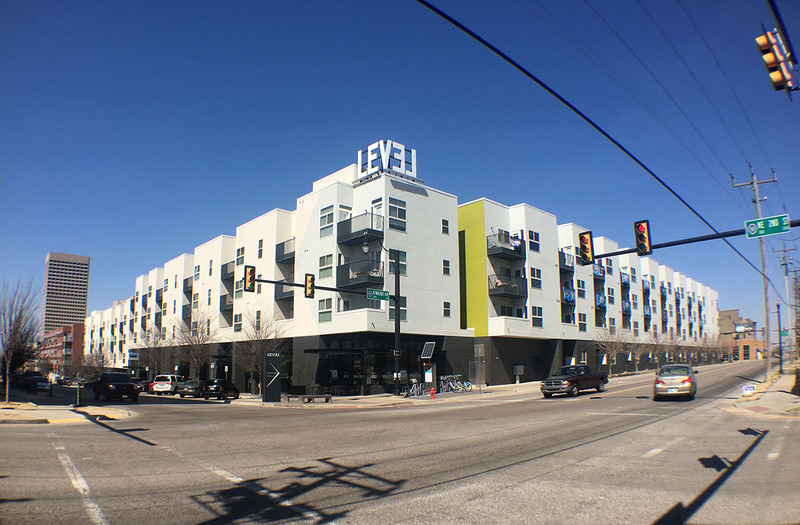 It was late 2012 when Native Roots opened in the Level apartment complex and it represented the fulfillment of a long-held goal of many downtown advocates: the first truly urban grocery store in Oklahoma City in decades. After some tinkering with the product mix, a few months ago patrons discovered a shift away from mostly unique, boutique and organic choices to selections typically found in most grocery stores, just in smaller quantities and selection to suit the smaller space. 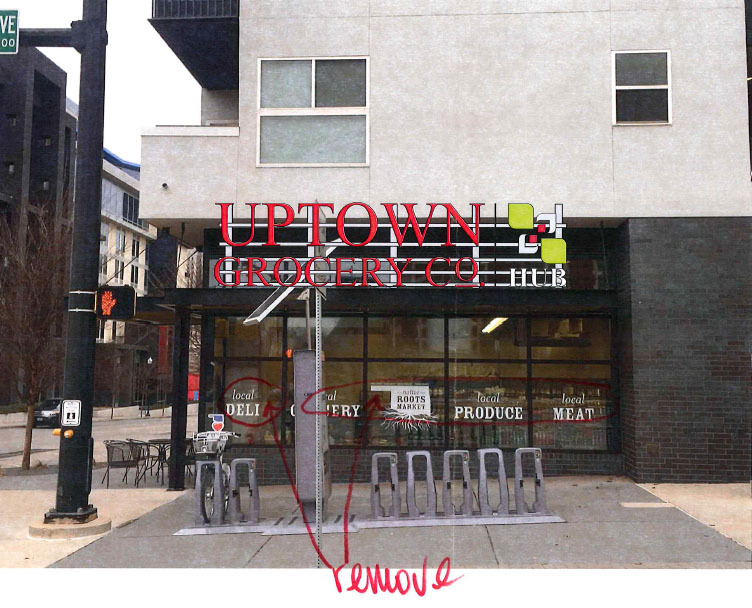 It was soon revealed that Uptown Grocery Company was involved and using their supply network to adjust the product offerings. Uptown opened its first store near Covell and Kelly in Edmond then followed with a location in the Village in February of 2016. Native Roots relocated from downtown Norman. 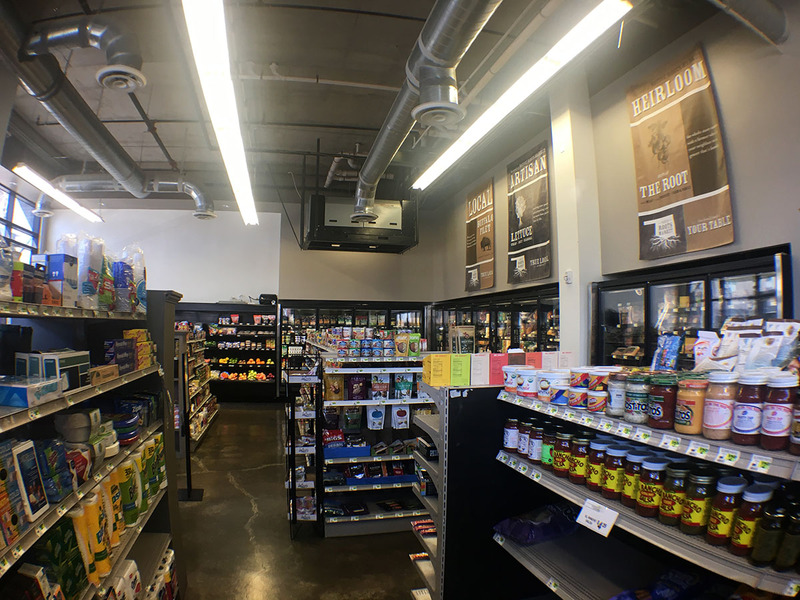 A recent visit to the Deep Deuce store at NE 2nd and Walnut shows that the layout is the same and the deli at the rear is still operating and thriving, but that the product mix is indeed more mainstream. 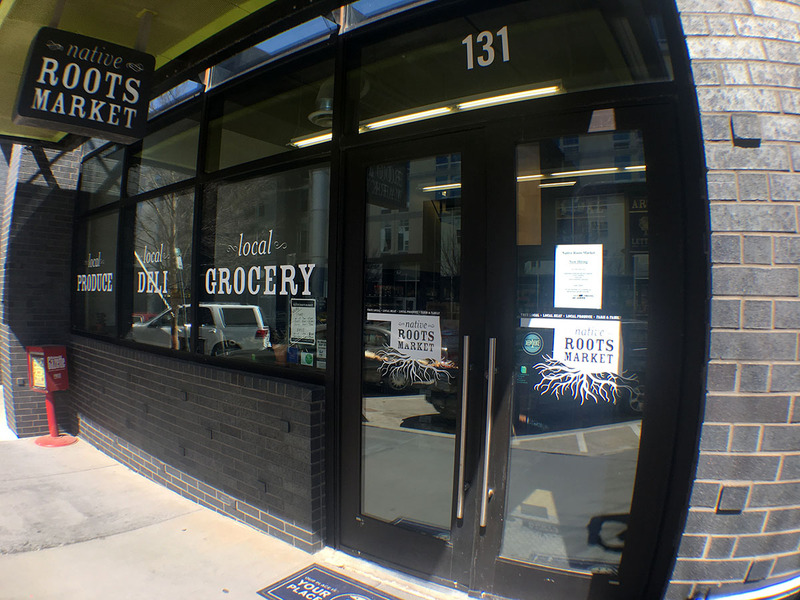 Now, plans have been submitted to the Downtown Design Review Committee which show the intention of completely removing the Native Roots signage in favor of Uptown Grocery. As such items as signage are usually reviewed through an administrative process rather than a full committee vote, the change has already been approved by the body. Employees at the store indicated that the change has been underway for some time. 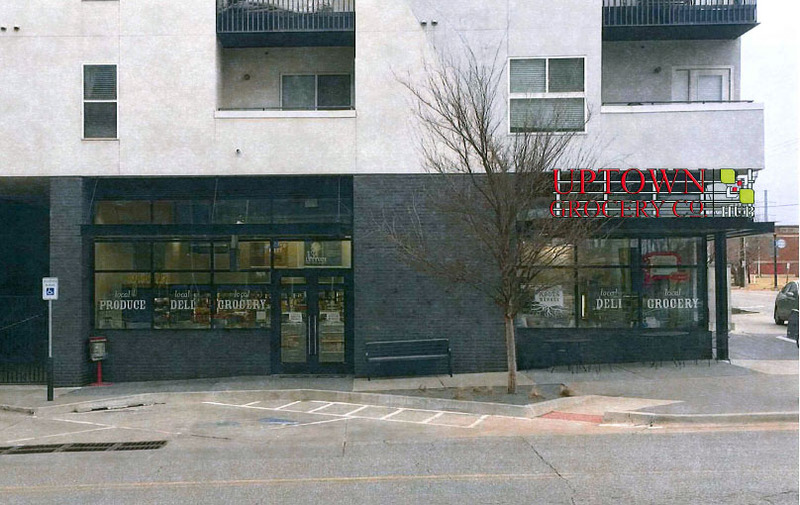 The re-merchandising and name change also comes just as Homeland has finally commenced their thorough remodel and update to the next closest grocery store at NW 18th and Classen. Read here to learn more about that Homeland project.